Oops – I missed day 8 of my Twelve Days of Christmas! I was out last night with friends and didn’t have time to post – so now we’re onto day 9. I can’t believe how close we are to Christmas now, who’s excited?! I bought a book this week that I’m very excited about. 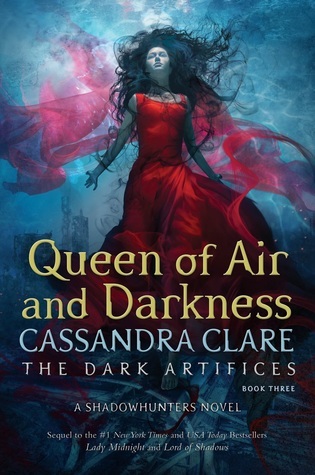 I managed to snag a very special edition of Queen of Air and Darkness not so long ago, but I also completed my paperback collection by getting this one. Great haul! That cover is gorgeous. Thank you! Isn’t it lovely?